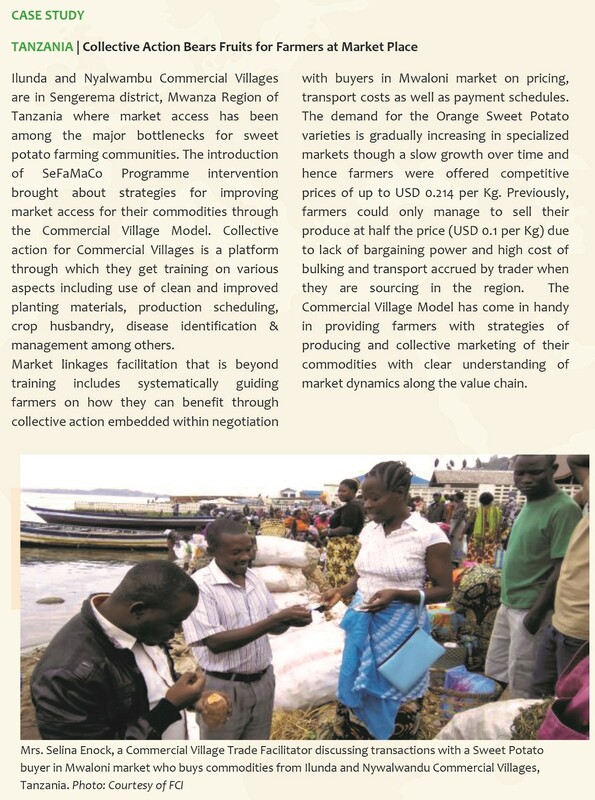 Prosista Moshi, a banana trader in Kilombero market shows off her display ready for sale. 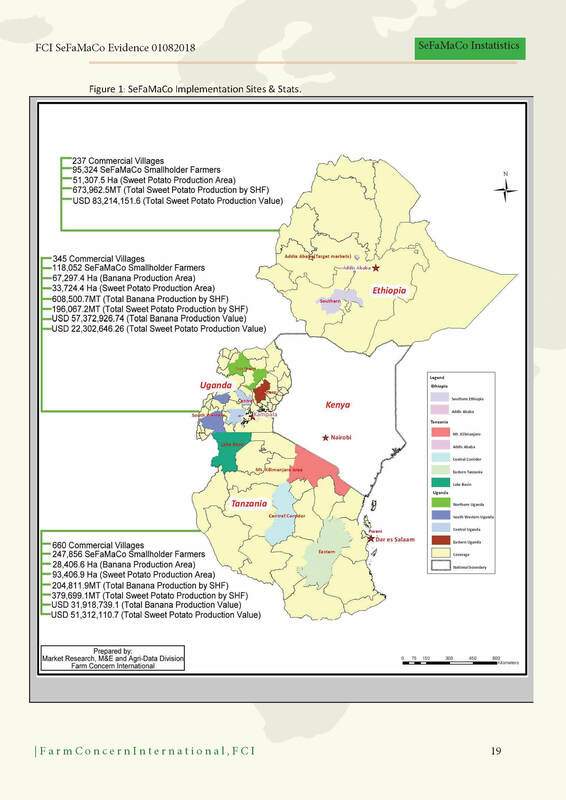 SeFaMaCo intervention will seek to optimize farm potential for sweet potato production, based on a determined commercial loss of 1.74 billion annually in Uganda, Tanzania and Ethiopia. 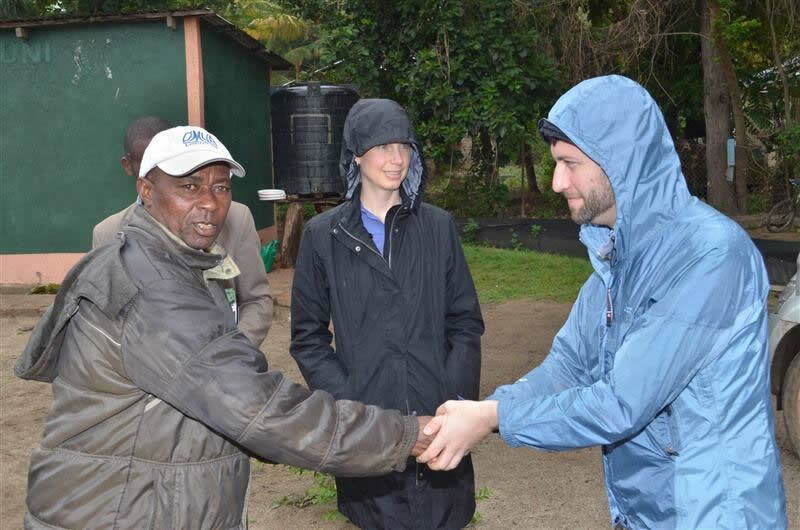 The project will be implemented in Uganda, Ethiopia and Tanzania targeting 1,016,113 beneficiaries. 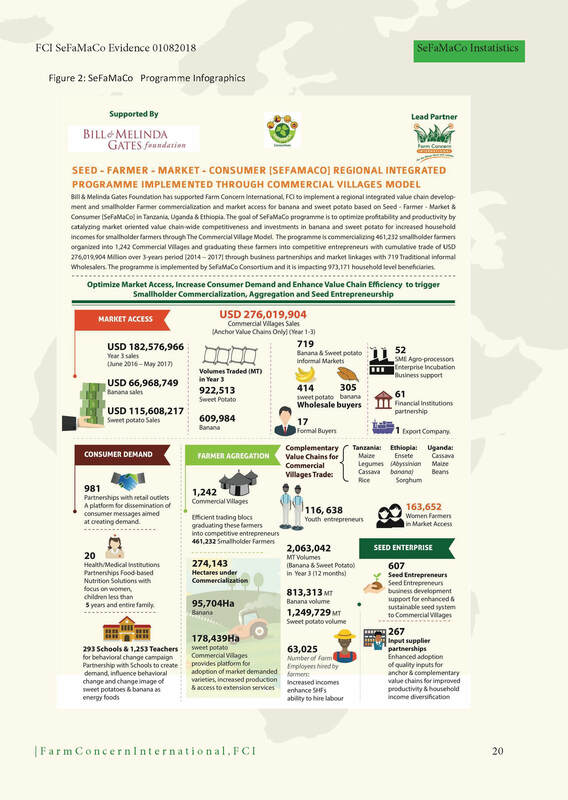 The implementation approach is based on a partnership approach with FCI as the lead partner and three levels of partnership: sub-grantees, private sector innovation fund and strategic partners). 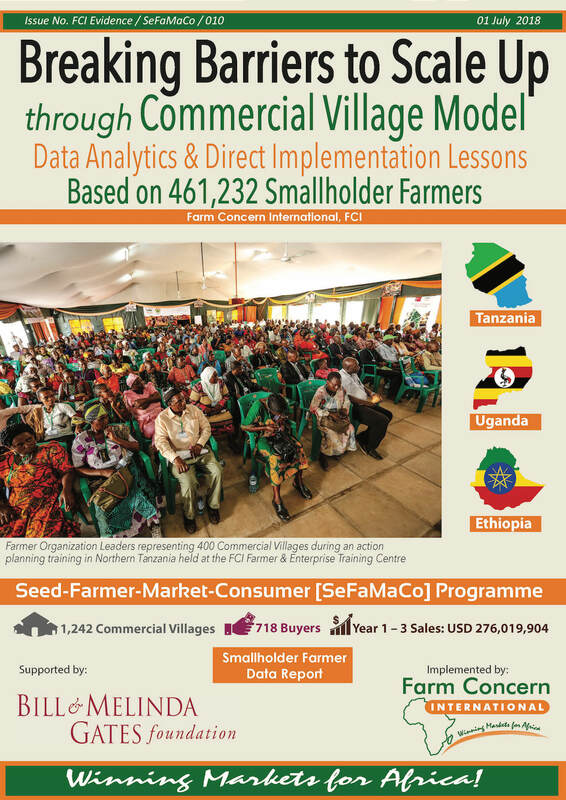 The Tanzania Director of Crop Development Dr. Twahir S. Nzallawah was the Guest of Honor during the official launch of the SeFaMaCo programme that is supported by the Bill & Melinda Gates Foundation and implemented by Farm Concern International. 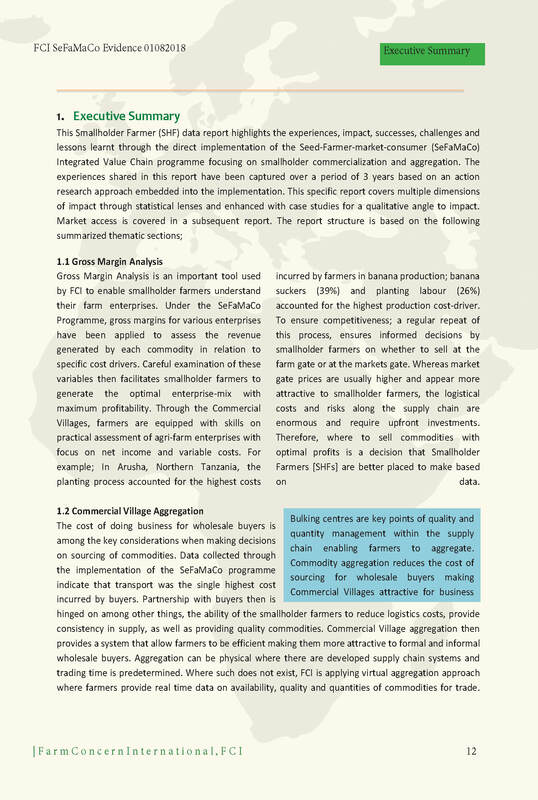 The programme, implemented through the SeFaMaCo Model, targets to bring the value chain actors i.e. 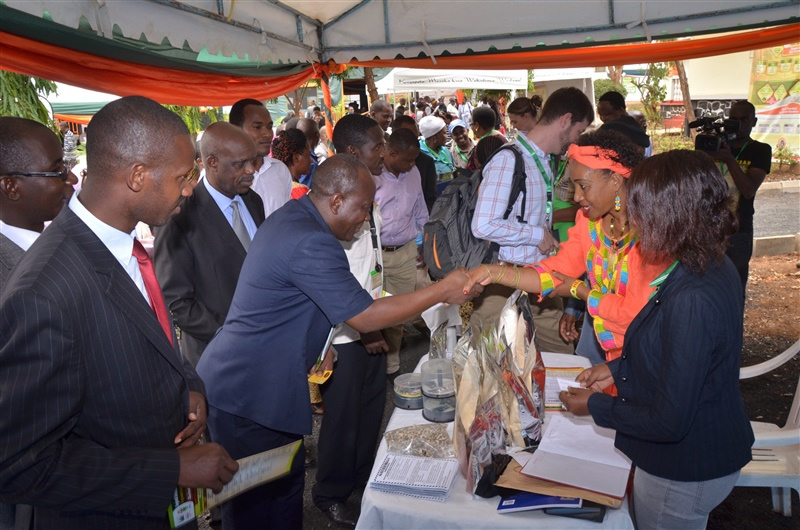 seed suppliers, farmers, markets and consumers together in order to enhance the value chain production and efficiency. 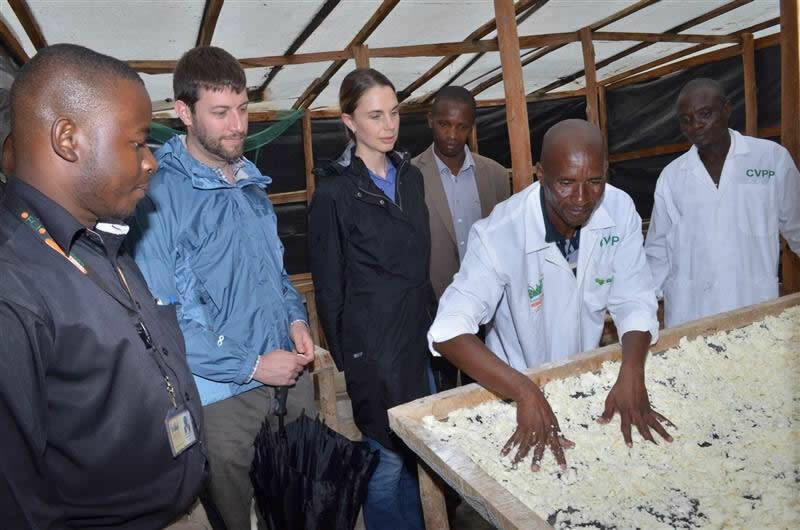 To implement this programme, FCI has partnered with smallholder farmers, research institutions, the private sector, development agencies and government. 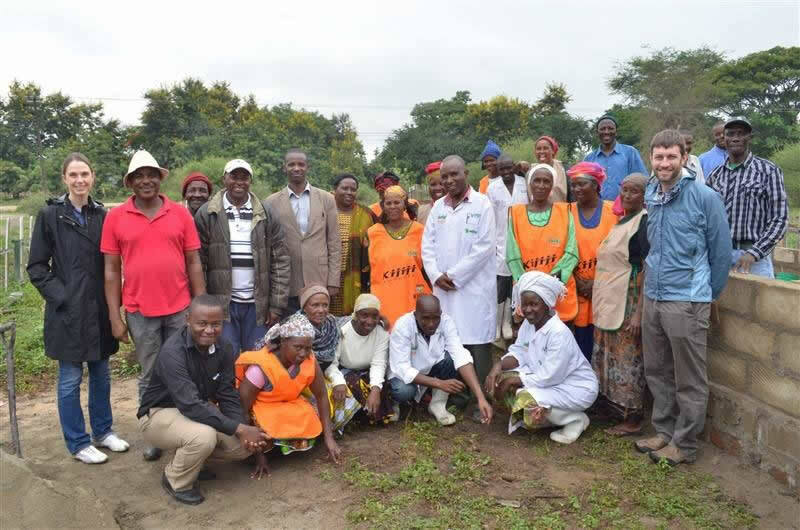 Some of the members of Mbuguni Commercial Village at their processing plant, which is currently under construction. 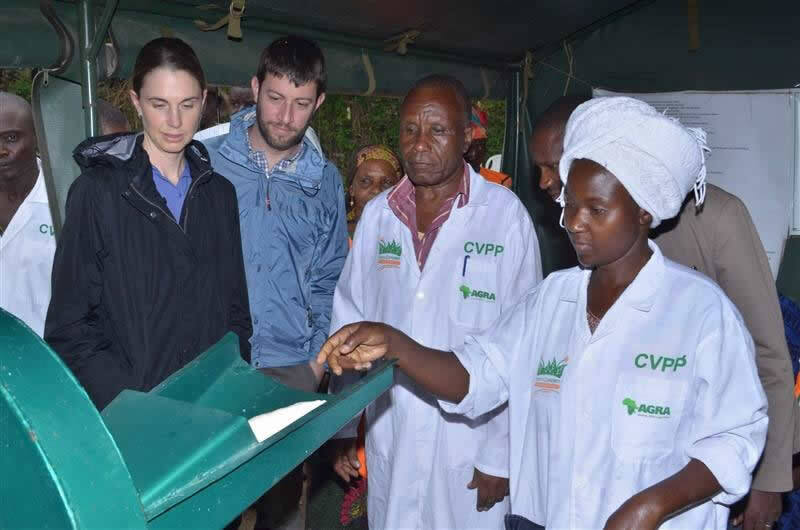 The group has reinvested their savings & proceeds from the sale of processed cassava and intends to increase production. 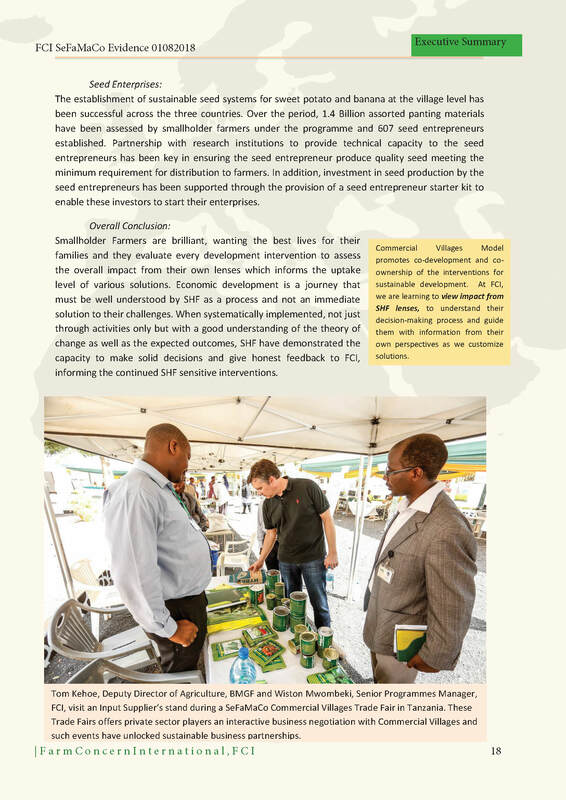 The SeFaMaCo programme is a partnership that has been developed by Farm Concern International (FCI) with stakeholders through a Landscape Analysis process that involved over 20 institutions which included; private companies, informal wholesale buyers, small & medium enterprises, financial services providers, development organizations, research institutes, Government agencies, farmer organizations, consumers, schools and consultants. 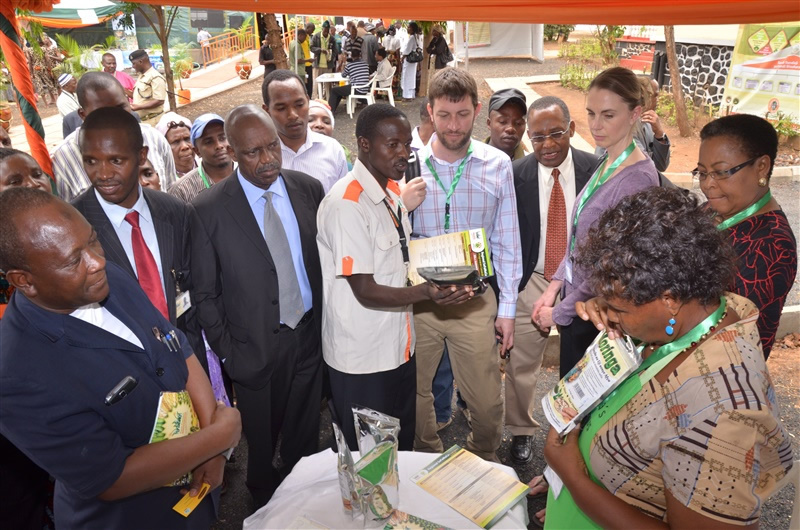 The project will be implemented in Uganda, Ethiopia and Tanzania targeting 1,016,113 beneficiaries. 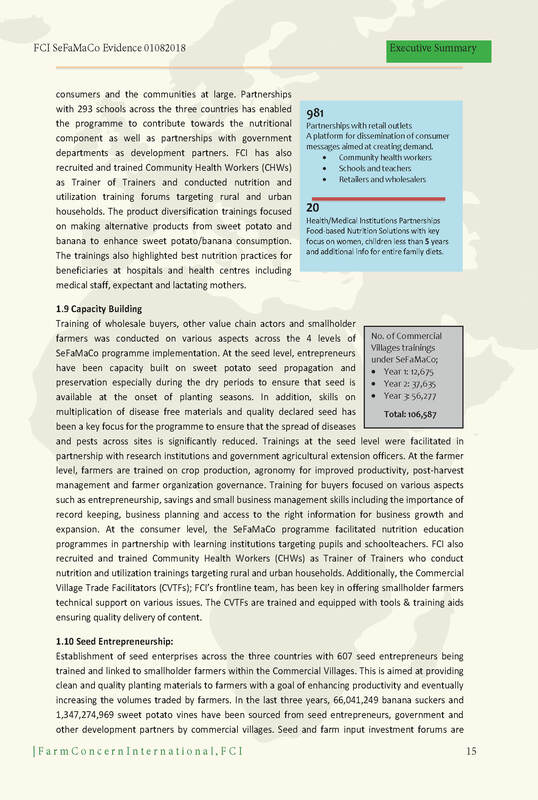 The implementation approach is based on a partnership approach with FCI as the lead partner and three levels of partnership: sub-grantees, private sector innovation fund and strategic partners). 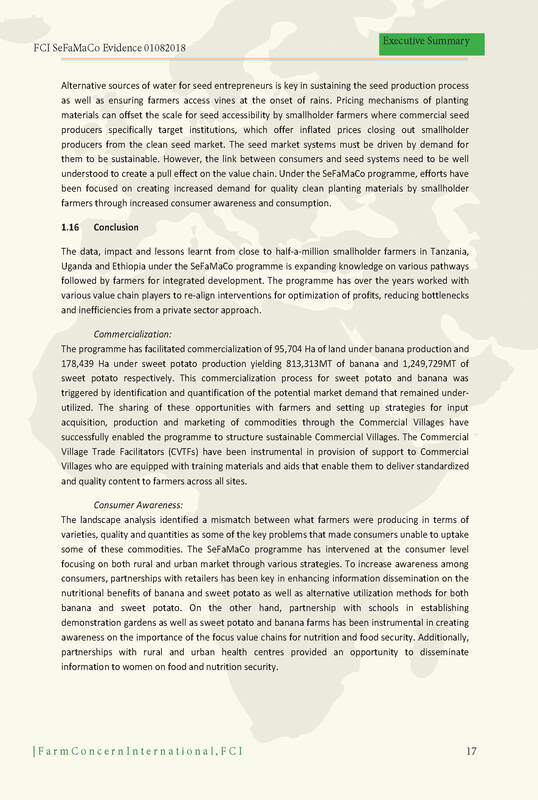 The SeFaMaCo intervention therefore aims at offering viable business opportunities and unlocking the unexploited incomes opportunity along banana and sweet potato value chains based on the following target highlights: 1,010,001 clients, 192,992 smallholder farmers (SHF) as commercialization project clients, 1,582 villages under the Commercial Villages Model, 934,400 households, 56,064 farm workers, 570 informal wholesale buyers, 100 women informal wholesale buyers. 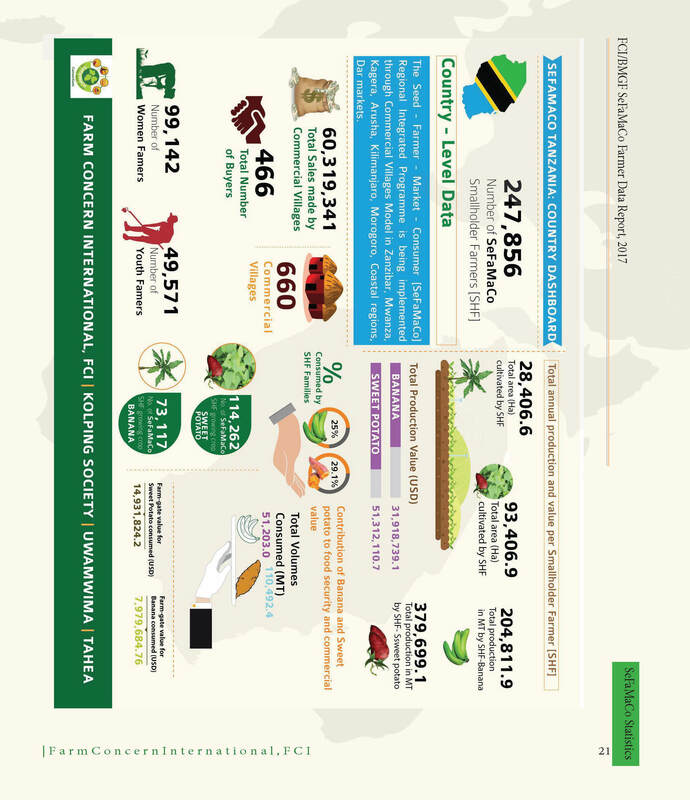 525 smallholder seed multipliers, 74,752 women farmers comprising 40% of the target SHF and 18,688 youth who comprise 10%. 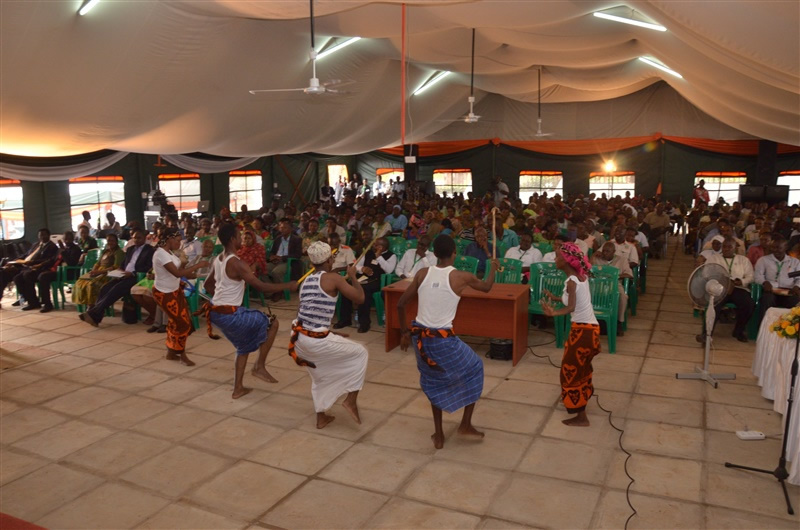 The capacity of 15,580 farmer organization leaders will also be enhanced. 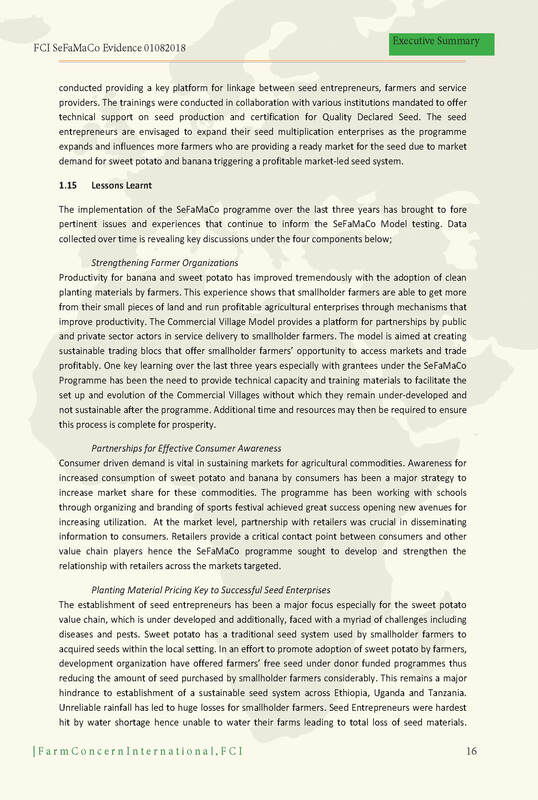 Over one million banana and sweet potato smallholder farmers are set to benefit from the SeFaMaCo programme in securing access to clean planting material, increased farmer skills knowledge and reliable markets for improved economic livelihoods. 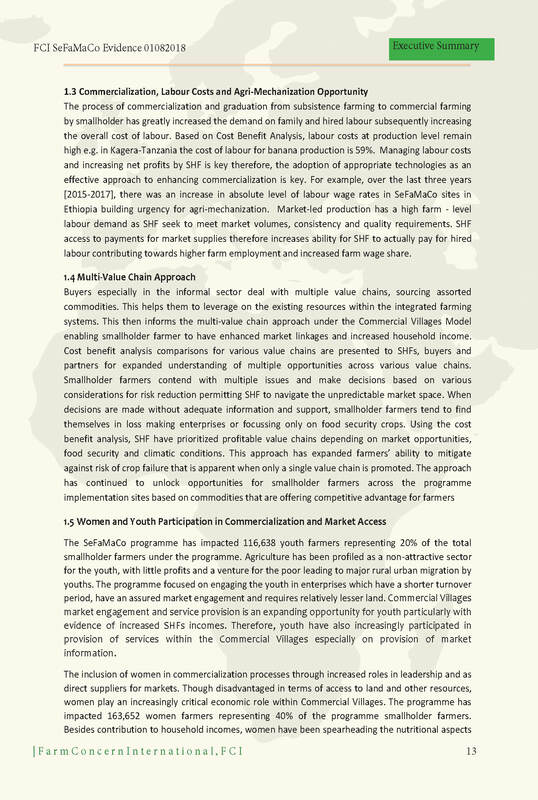 SeFaMaCo programme is a four year initiative, titled Integrated Value Chain development and smallholder farmer commercialization of Banana and Sweet potato for Tanzania, Uganda and Ethiopia based on a Seed- Farmer-Market and Consumer model. 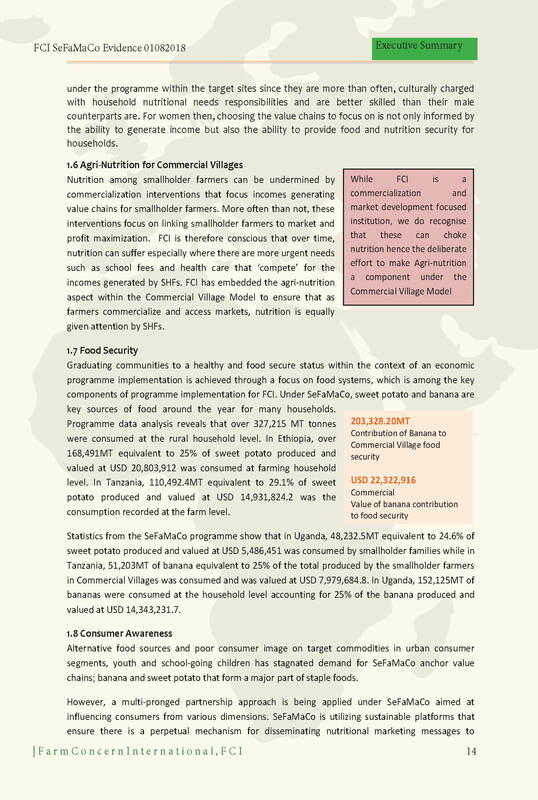 FCI VISION :Commercialized smallholder communities with increased incomes for improved, stabilized & sustainable livelihoods in Africa and beyond. 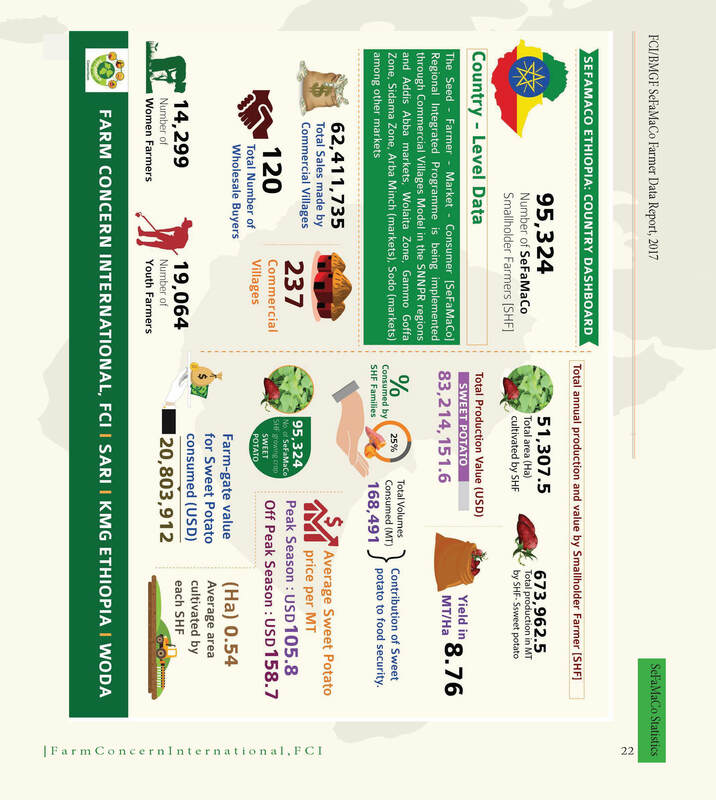 © 2019 Farm Concern International. All Rights Reserved.